Found in Polk County, Florida, Haines City has a population of about 22,000 residents. It's actually a part of the Lakeland-Winter Haven Metro area, which is considered a part of the Tampa Bay area even though it's closer to Orlando. Polk County has a population of more than 600,000 residents. It's also close enough to the Orlando and the Tampa area to see plenty of visitors moving through the area every year. Mixing this many residents with visitors doesn't make for the safest driving conditions possible. Interstate 4 is found just outside Haines City and provides access to the area. The section of I-4 found in Florida is known as the third deadliest highway in the country. Other major highways run through the area, too, including US 17/92, US 27, State Road 17 and State Road 544. The mixture of full-time and part-time residents, along with visitors makes the road conditions dangerous. The traffic accidents in Haines City and Polk County are on the rise. If the law enforcement agencies in charge of monitoring the traffic didn't give out tickets, these statistics would be much worse. Over 45,000 traffic tickets were given out in Polk County, Florida in 2015. Out of those tickets, 16,454 of the tickets were for speeding, while another 8,211 were given out by red light cameras to those running red lights. About 3,600 more tickets were given out for those driving carelessly. These are not small offenses and often lead to accidents. Only about 4% of the tickets issued were dismissed by a judge, meaning the chances of your ticket getting dismissed are very slim. If you disobey the traffic laws multiple times, you may be subject to a suspension of your Haines City driver's license. Each ticket issued has a point value assigned to it and the points go on your license. If you receive enough tickets to get 12 points in 12 months, your license will be suspended for 30 days. Get 18 points in 18 months and it will be a 90-day suspension. If you happen to get 24 points in 36 months, you will face a one-year suspension. Not only will you have to go without the privilege to drive, but you will also pay a reinstatement fee and your insurance rates will go up. The best way to avoid a license suspension is by obeying the traffic laws. However, if you do get caught speeding or doing something else that goes against the traffic rules, you may be able to keep the points off your license. It won't take many tickets to rack up enough points to end up with a suspended license. 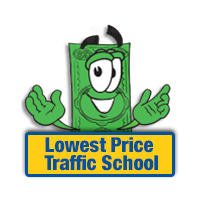 One way you can keep the points from a traffic infraction off your license is by enrolling in online traffic school. By taking the basic driver improvement course, you will be able to keep the points from your infraction from going on your license or causing your insurance rates to go up. The process starts with paying your ticket and letting the clerk of the court know you will be enrolling in traffic school in Haines City. Then, you will need to take the course online and complete it. After completion, you will receive a certificate of completion, which needs to be turned into the clerk of the court. That’s all it takes to keep the points off your license and your insurance rates from going up due to a traffic ticket. 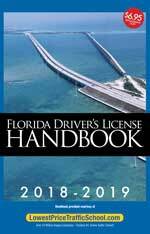 Every driver in the State of Florida is allowed to take the basic driver improvement course five times to avoid points on their license. However, drivers are only allowed to use the course once every 12 months for this purpose. If you're unsure of your eligibility for online traffic school, check with the clerk of the court. All traffic ticket information and payments are handled by the Polk County Clerk of the Court. You will also need to inform the clerk of the court if you plan to enroll in traffic school. Find out more about the Polk County Clerk of the Court by visiting the website.